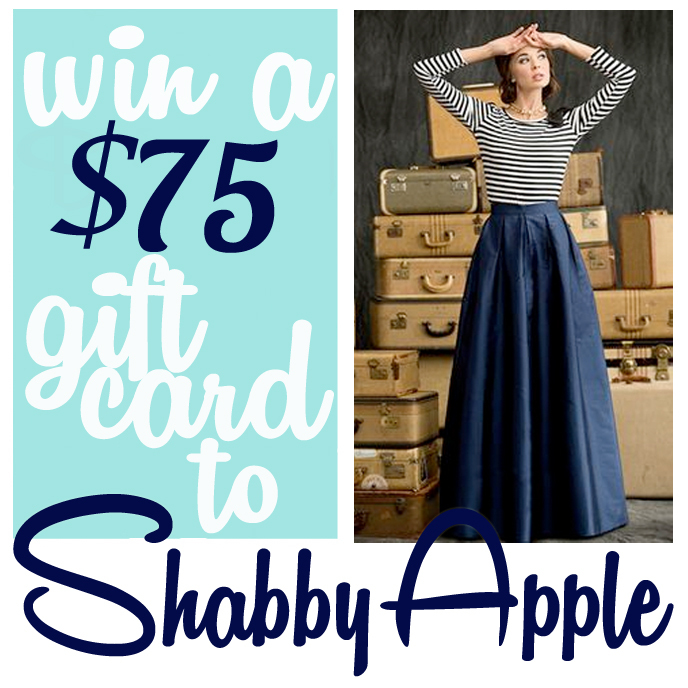 I'm excited to be teaming up with Shabby Apple for this next giveaway! If you are unfamiliar, Shabby Apple offers affordable unique feminine vintage style apparel. They would love to give one lucky reader a $75 gift card! What perfect timing with the approaching holidays. Spend it on yourself or give it away as a gift, completely up to you. Enter below. Re-Gram: Repost the above photo on Instagram, tagging @iamkhatu #iamkhatu. Share & Like the above photo on Facebook. Rules: Giveaway is open to U.S. readers only (sorry, international friends). Winner will be chosen at random and will have 2 days to claim her prize. Must fulfill all mandatory requirements otherwise entry will be removed. Giveaway ends December 3rd. Good Luck!